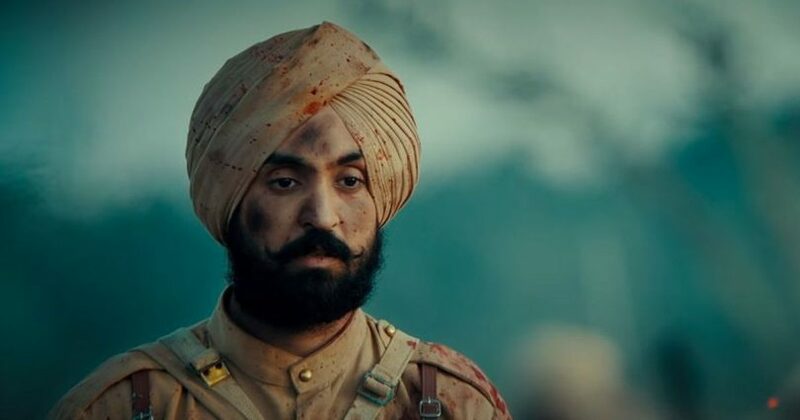 Diljit Dosanjh’s latest offering world war I epic ‘Sajjan Singh Rangroot’ has minted 16 crores worldwide in the wake of today morning which is extra ordinary for a Punjabi language film. Dosanjh might go on to become the highest grossing Punjabi actor of all time with this one though he is behind Jimmy Shergill as ‘Dharti’ was a blockbuster. Rangroot will definitely end up becoming one of the highest grossing Punjabi film of all time if not the all as the word of mouth around it is quite healthy which will keep the box office steady. Several other Hindi and Hollywood films have released on the box office to take away the ticket buyers on their screen but Rangroot will stay strong in the Punjab region to increase the currency being profited on it because the film is actually being liked. No other Indian film maker went all the way back to World war I in order to show the story of courage and valor which is why Rangroot stands out. The film is performing very well on foreign markets especially Canada where Dosanjh has a big audience. As Dosanjh is a pop star as well and Punjabi songs are heard in many regions of the world, he already has a big chunk of people who are his fan and would want to see him regardless. For his film to take an opening is not the biggest deal if he has sung songs in the film because that’s a default crowd puller but rangroot is so much more than that. His performance as an idealistic Sikh soldier who would put his country in front of his own life has some amount of honesty to it which he may have cultivated in the performance but it sure seems to be a natural state on screen.